Before I started assuming love, I engaged in the very popular "Isn't my spouse awful?" game, as both instigator and player. To get it started, you ask your sister or people at work, or maybe even the stranger seated next to you on the bus, to confirm that there's something terribly wrong with your spouse. You plead with them to agree that you've married someone who's just plain wrong. Wrong about angels. Wrong about blue-green algae. Wrong about whether the right color ribbon is worth a two-hour drive. Wrong about evolution. Wrong about who ought to be elected. Wrong about what does and doesn't belong in a living room. Wrong about the value of television. Wrong about how to and when to ask for a raise. Wrong about teal blue. Wrong about who's right and who's wrong. If you've played the game a lot, you may have it down to a shorthand version. You just glance at whoever's available and roll your eyes as your spouse speaks. Whichever way you let others know how distressed you are with your spouse's choices, every time you do it, you push love out of your life. Why do the rest of us help you push love away? Well, most of us have strong opinions about politics, sports, hobbies, habits, decorating, religion, and the unknown. If we agree with you, we'll gladly tell you so. It makes us feel a little closer to you, a little more right. Most of the time, it doesn't occur to us that we're helping you reject your life mate's love, that we're joining in to knock the foundation out from under your marriage. When you assume love by trying to understand how someone kind and safe to be with who loves you fiercely might come to these different beliefs, you build your relationship. You reduce the fear that you don't know and can't trust this person you're with. You reduce the fear that your differences will shatter your relationship. And you start to gain one of the great benefits of a marriage or life commitment to another person, the chance to explore different beliefs in a safe and loving environment. © 2006 Patty Newbold. Reprinted with permission. Patty Newbold blogs at Assume Love, where she writes about how to have a happier marriage without trying to change your spouse. Image courtesy of smarnad / FreeDigitalPhotos.net. Great to see you here, Patty. Oh, this makes me shudder. "Most of the time, it doesn't occur to us that we're helping you reject your life mate's love, that we're joining in to knock the foundation out from under your marriage." How would you suggest responding to someone who does this? Thank you for writing here! Hey, Tammy, thanks for stopping by! I don't know how Patty would answer your question, but I see two things. One, if we have fallen into the trap of putting our spouse down or showing contempt in some way, then we have to accept that we are largely responsible for how others react to that. As Patty said, they may not even realize that what they are doing is so damaging, because they are just going along with you. In that case maybe it's just best to back off and say something like, "But I could be completely wrong, I'm sure it looks different from his point of view," and then vow not to play that game again. 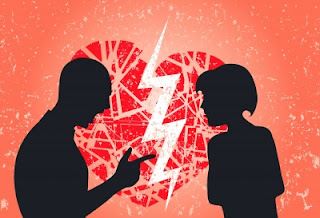 In the case where someone puts your spouse down on their own, either because they have misinterpreted your message or because for some reason they are just doing it, then a stronger response is needed. "I think you misunderstood me. He is actually a great guy and I truly appreciate what he is doing." Or, if warranted, "I don't appreciate what you're saying and I won't listen to remarks like that about my spouse."